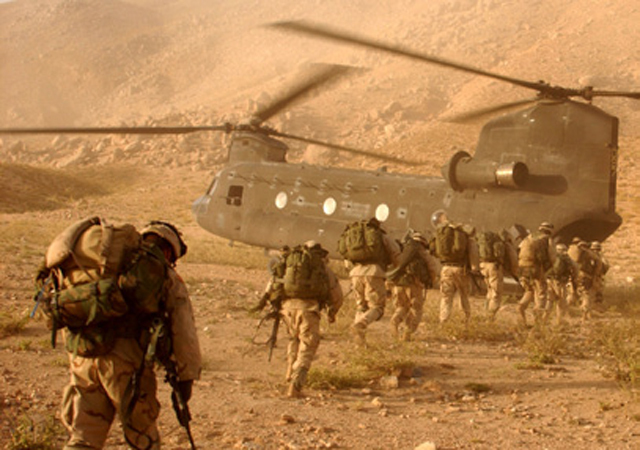 When should the United States intervene militarily in weak countries? This is a topic of pressing international concern because the United States keeps intervening in weak countries. We are currently involved indirectly in Libya and very deeply in Afghanistan, as well as still being involved to some extent in Iraq. We have a propensity to engage in this kind of activity, but it hasn’t always worked out well for us. We need to reconsider the issue, and I want to discuss what the criteria should be for the United States when intervening militarily. The following is an edited transcription of Professor Robert Keohane’s talk at Cornell University. The first question is: what is a weak country? What do I mean by saying, “intervening in weak countries?” A weak country is a country not capable of preventing a United States invasion, where we can successfully at least take over key cities. So we are not talking about China or Russia, we are not talking about Brazil, or South Africa. This does not rule out the possibility, of course, that weak countries can use violence to inflict high costs on the United States. In earlier generations, Vietnam was a weak country. The United States, in a sense, intervened in Vietnam. The Vietnamese, especially the North Vietnamese, successfully used violence to drive the United States out. A weak country can stop the US from beating them but it could make the enterprise very costly for the United States. I am going to talk about six cases or seven cases. You can count Afghanistan twice. The Gulf War in 1991, non-intervention in Rwanda in 1994, Kosovo in 1999, Afghanistan after 9/11, Iraq in 2003 continuing even now, Libya this year, and Afghanistan now. Let’s call it six cases or seven depending on how you divide the Afghanistan case. I am a little taken aback here because there is a friend of mine in the back who knows a lot about Afghanistan [Jason Lyall of Yale University] and it reminds me of a story I should tell: I am like a man who survived the Johnstown flood and did nothing else to distinguish himself during life, but was a good person and therefore went to Heaven when he died. When the man was met at the pearly gates by St. Peter, the angel said, “we have a custom in Heaven: everybody gets to do a show and tell during their first afternoon in heaven, so you can talk about one episode in your life.” So, this man, who was rather boring, started going on and on about how he had survived the Johnstown flood. St. Peter looks more and more dubious and says, “It is all very well that you talk about the flood, but do not forget that Noah is in the audience.” Noah is back there, so I could be in trouble. I am going to talk about these cases, and Afghanistan is going to be the punch line. My key argument is that the criteria for intervention should depend first on US interests. It is key to differentiate the criteria that apply when the US has strong interests, when the situation is crucial to US interests, as opposed to when the US does not have crucial interests. More demanding criteria are needed when the United States does not have crucial interests in the area than when it does. I believe that the Gulf War (1991) and Afghanistan after 9/11 represented crucial US interests. Therefore, different criteria apply for the other cases.Rwanda is in italics because nobody intervened. So, I have one situation here where there was not intervention, where, as you will see, I think that the United States should have intervened. So, here is the outline of the lecture. I am going to talk first about US power and US interests because they are related. We have to understand that the evolution of US interests, and the shifts taking place in these interests, in my view, come from shifts in US power. Before we can actually make judgments, I am going to talk about criteria justifying US military intervention when crucial US interests are involved. It is in those cases, in my view the Gulf war in 1991 and Afghanistan in 2001, that there were crucial US interests involved. In general, I think these criteria have often been met in those situations. I will then turn to criteria that should be met when crucial US interests are not involved. In general, it seems to me that these criteria have often not been met. We have often fallen short. The conclusion will then focus on when the United States should intervene. I am going to emphasize the key role of the exit strategy. Is there an exit strategy that is plausible? As you will see, I am not disposed toward the continuation of our intervention in Afghanistan. I want to provoke thinking not just about Afghanistan, but about how to respond when the situation arises, which will recur in your lifetime, when somebody proposes US intervention in a weak country and tells you it is going to be cheap. I do not want to tell you what to think – but I want to urge you to think carefully when military intervention is proposed. Let me tell a story from my father’s notebook, which makes the point. The story is about Robert Maynard Hutchins, who was the dean of Yale Law School at the age of 28. Think about that if you are 33 and still in graduate school. He later became the president of the University of Chicago. But it was 1925, and Hutchins, in his capacity as the dean of Yale Law School, was entertaining William Howard Taft. Taft was the former President of the United States, the current Chief Justice of the US Supreme Court, and the most distinguished jurist in America at the time. Taft was also a man who was sure of his own presence and importance; and he weighed about 350 pounds. He was an imposing figure in every respect. So, Taft turns to Dean Hutchins and says, “Well Mr. Hutchins, I assume at Yale you teach your students that all judges are fools.” To which Hutchins responds, “No, Mr. Chief Justice, at Yale we teach our students to find that out for themselves.” So you can find this out for yourselves, not me. My key argument is that the criteria for intervention should depend first on US interests. I think you should at least have some criteria in mind when intervention is proposed. The first set of questions is about interest and power. Interest and power are related to each other in that interests are endogenous to power. What your interests are depends, in part, on what your power is. It is clear that the interests of Belgium or Switzerland are different from those of Germany, China, or the United States. There are certain things that small states simply cannot do. They cannot have an interest in maintaining world order. So, as power expands or contracts, so do interests. For example, as British power contracted in the years after 1914, British interests also gradually contracted. Britain had huge interests in India, interests in the Middle East and the Suez Canal, and it shed those interests gradually when it could not maintain them anymore. Britain did not have the power to do so. The United States conversely, after World War II, expanded interests beyond Western Europe and even into Asia. Throughout the Cold War it expanded its interest into places like Afghanistan and the Congo. After the collapse of the Soviet Union, the United States expanded its interests into Eastern Europe and Central Asia. Those were not major interests of the United States during the Cold War because the US was fairly sure it couldn’t influence events there. And as I mentioned, the British interests, as well as French and even Dutch interests, contracted as their empires collapsed. So if you’re asking what a state’s interests are, you have to know how powerful it is. A power shift will affect what its interests are. They are not written in stone forever. The United States, despite what former Governor Romney said in his recent speech, is manifestly less powerful and financially capable than it was 20 years ago. Compare now to 1991, when the Soviet Union collapsed and there were no rivals on the scene. China was not yet in world politics. I am not talking about US collapse; I am not saying there is a collapse in US power. Power is relative. So while the US is less powerful and financially capable than it was 20 years ago, it still remains the most powerful state in the system. We do not want to confuse relative decline with the proposition that the US is weak. The United States is not weak, but it is less powerful than it was 10 years ago. America is not in absolute decline, although America’s cultural and economic preponderance will become less dominant than at the beginning of the century. America will face the rise of many others, both state and non-state actors. Power being relative, the US will be less powerful in the future. It follows, then, that US interests will need to contract and that a sensible US foreign policy will not maintain the range of interests that were sensible when the US was as dominant as it was in 1991. What are the candidates for reduction? Where should the US sensibly pull back? I think Central Asia is an obvious case that is not crucial to our interests. We got along fine not doing anything about it until the collapse of the Soviet Union, and to me, in general, this includes Pakistan and Afghanistan. In the 1970s, I would joke in class that Afghanistan was the place in which we had no interest. It is about as far as you get, especially since we are going to have to reach some sort of modus vivendi with China. We are going to have to focus on maintaining our crucial interests visà- vis China—Korea, Southeast Asia, and the areas around the South China Sea—as opposed to the secondary interests that might conflict with China in Central Asia. I think that Africa, except for major oil producers, the Mediterranean, and South Africa, is also not an area of great US interest. It is impossible for the US to control the world, so the goal of preventing havens for terrorism must be abandoned. After all, terrorists can go lots of places; they do not have to be in Afghanistan. They can be in Yemen, in Somalia, or in 50 other countries. So, the notion that your goal is to prevent havens for terrorists and therefore we should be in a particular place is senseless. It would only be sensible if terrorists committed themselves to one place and refused to move. Let us go back and think about foreign policy interests for a minute. Arnold Wolfers, in a book published almost 50 years ago, made the distinction between possession goals and milieu goals.1 Possession goals are what you want to have, especially for security and prosperity: the security of your homeland, access to resources, and markets needed for economic growth. Then there are milieu goals, like a safe world for democracy at home or a world with opportunities for cultural infusion. I am not talking about a world safe for democracy abroad; what I am talking about is what do we need for our democracy? The answer is that we have to have a world absent severe threats because such threats can lead to a garrison state. The necessary means to crucial interests are also crucial interests. If one could show that something in itself is not a crucial interest, but a necessary means to obtain a crucial interest, you should treat it like a crucial interest. I have four here, which I think are crucial to American interests. Although you can see I am critical of US foreign policy, you can also see that I am not an isolationist. One crucial interest is the maintenance of fairly democratic governments in Europe, Asia, and the Pacific rim of Asia. That means Japan, South Korea, Australia, and perhaps other countries. The second crucial interest is access to crucial sources of energy, especially in Saudi Arabia. Unfortunately, given the policies we have followed or failed to follow over the past 40 years, we are highly dependent on energy from abroad. Third, we need access to other important markets. The US economy is not nearly as globally oriented as Europe’s major economies, but it depends substantially on global markets. If those markets were cut off, the US would certainly suffer. Finally, it is a necessary means for crucial interests like world peace that we maintain a strong working interest with major rising powers, including the BRIC powers of Brazil, Russia, India, and China. These, I would say, are the four necessary means to crucial interests, and they compound into a crucial interest or the equivalent of a crucial interest. Military action must not be unjust. It does not have to be just, but it must not be unjust. There must be no superior strategy than use of force. There needs to be a politically sensible exit strategy that retains the key achievements of the intervention. If the only exit strategy throws away your achievements, you should not be doing it in the first place. The goals should be clearly specified with indicators so we know if we are achieving them. Finally, there should be an explicit procedure for periodic reevaluation and substantial transparency. Just war theory identifies just cause and proportionality as the two critical features for a just war. One should not go to war unless, consistent with normative theory, one has just cause. For example, one might be attacked or one’s ally might be attacked without provocation. Second, one should only go to war in a proportional way. We should not use nuclear weapons, for example, to respond to a border incursion. Even if the incursion would give you just cause to fight, it does not give you just cause to blow up the other country with nuclear weapons. Joseph S. Nye wrote a very good book around 25 years ago on just war theory, which he summarizes as requiring appropriate motives, means, and consequences.2 Motives must be to rectify a situation, not to aggrandize oneself. Means must be proportionate, and the foreseeable consequences must not be negative. In my view, the Gulf War in 1991 and the war in Afghanistan after 9/11 meet both sets of criteria. The US or an ally was attacked, and the response was proportionate. The second criterion, that there must be no superior strategy to the use of force, is also met in these two cases. Saddam refused in 1991 to meet Security Council mandates; he had plenty of time to respond to threats of force. And in Afghanistan in 2001, the Taliban refused to turn over the 9/11 planners or credibly promise no further attacks. In the Gulf War, the US had a clear exit strategy. It was to liberate Kuwait and restore its government, which had previously been able to run itself quite nicely with no substantial internal opposition. The government’s legitimacy was intact, the infrastructure was intact, and there was a clear exit strategy: drive the Iraqis out, deter them from coming back, and let the Kuwaitis run their own affairs. In Afghanistan in 2001, I think there was not a clear exit strategy. I believe there could have been one. We could have handed over Afghanistan to the Northern Alliance and its allies and let them make the necessary deals to stay in power. Instead of propping them up, say, “Now you work out your own salvation.” We didn’t do that, so there was no clear exit strategy. Fourth, there must be goals clearly specified with indicators. These goals were clear in the Gulf War: the restoration of Kuwaiti sovereignty and the destruction of the Iraqi army, sufficiently enough to prevent a new attack. There were indicators associated with that. The destruction of the Iraqi army as a fighting force against a strong opponent was clear from the photographs of burned out tanks indicating that Saddam’s army had been destroyed, and the Kuwaiti government returned to power. Unfortunately, the subsequent goal of making Saddam respect UN resolutions was openended. It did not have clear indicators, and it was not quite clear what would qualify as meeting those indicators. In Afghanistan, I think the goals were not well-specified, and I think that one of the faults was that the goals kept expanding. 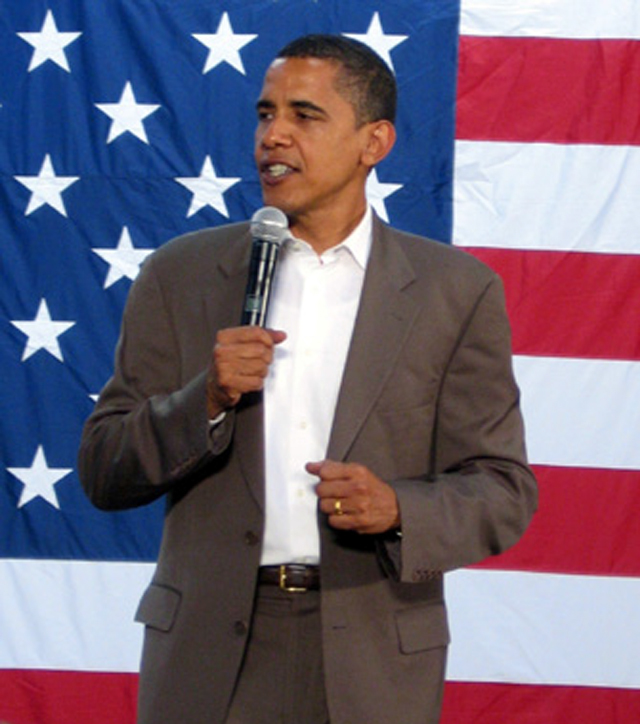 If you listened to the Bush Administration, the goals included nation-building, democratization, and women’s rights. The prospect of nation building in Afghanistan was remote and the prospect of democratization was even lower. The prospect of sustainable women’s rights was essentially nil. These goals were unrealistic, rhetorical goals. They were not really specified, and they kept on expanding. Finally, there should be an explicit procedure for reevaluation. UN Security Council authorizations do require periodic reports. But the Security Council authorizations are somewhat ambiguous, and there was not enough attention, in my view, to explicit reevaluation in the US political system. There should be requirements for congressional hearings, even if nobody wants to do it. We need to have monitoring and more transparency of reevaluation. So what is the report card on these crucial cases? On a pass-fail basis, on the whole, it is a pass. These actions were not unjust; that is a high pass. There was no superior strategy than force: high pass. There was a politically defensible exit strategy in the Gulf War: high pass. Afghanistan failed, but it could have been better. To some extent goals were specified with good indicators: marginal pass for the Gulf war and for Afghanistan. There was some procedure for re-evaluation, although it could have been specified better: marginal pass on this criterion as well. Three high passes and two marginal passes do not earn honors, but they clearly sum to a passing grade for the Gulf War. For Afghanistan we have two high passes, two marginal passes, and a failure: a generous grader would give this performance a pass. Being generous, I conclude that in both cases the initial action was justified. However, there was too little attention paid to avoiding mission creep in Afghanistan, which is partly where our current trouble comes from. Now I am going to turn to non-crucial interests. I have different criteria for intervention for these interests. Because you do not have to intervene, there should be higher standards. If you have to intervene, because you are being threatened or attacked, lower standards apply. But if you do not have to intervene, you should have a higher standard. So I have four identical criteria: no superior strategy than force, exit strategy, goals and indicators, and a procedure for reevaluation. Those, it seems to me, still apply. But I am going to alter the just cause part. I said, and I emphasized when I got to the just war part in my previous discussion, that where there are crucial interests, we can properly have motivations that do not stem from a desire to act justly. You have a justified motivation to defend yourself or to respond to attack, so justice is not your only motivation. That is why I said that responses to attack or severe threat must not be unjust, but they may be defended as neutral with respect to justice. You still have the right to defend yourself even if you are not acting to improve justice in the world. But when no crucial interests are involved, it seems to me there must be just cause; there must be a positive reason to act and justice must be a key motivation. It must be possible to defend the intervention on the basis that justice needs to be done and there must be an intervention in order to maintain some form. That distinction will make it more demanding for the cases in which the United States did not have crucial interests. I have four additional criteria for situations in which there is not a crucial US interest. The United Nations has enunciated one of the most imaginative and best acts of the UN, in my view, in the last decade. It has enunciated over the last 10 years something called the Responsibility to Protect (R2P), which I will discuss below. It seems to me that, if we are to intervene where our interests are not at stake, others should also believe that R2P criteria are maintained. There is a responsibility that we are taking, but others also must take it with us. Second, there should be a broad international consensus. There need not be a UN Security Council resolution because a veto applies there, but there should be at least nine votes, which would pass a resolution, with no veto, with more support from the region affected. It should not just be outside interveners saying, “Oh no, this is a terrible situation in your region,” the people in the region also need to care. Third, there needs to be widespread and genuine international participation. I mean not just voting for it, but also participating in the operation. If the operation is not mandated by US interests there is no reason why it should be executed only with US troops and US forces. If it is a general world interest or global interest, others should participate; not as much maybe or as with many resources, but they should be prepared to participate. Finally, there should be an indigenous opposition, which is preferable to the status quo. There should be somebody to hand power over to when you are through with the intervention. I want to say a word about Responsibility to Protect. This came from the initial proposals made by the International Commission on State Sovereignty in 2001, endorsed by Secretary- General Kofi Annan over the next few years, and debated over the course of almost a decade in the UN. A report by the current Secretary-General, Ban Ki-moon in 2009 was accepted in principle by the UN General Assembly: that is, the General Assembly endorsed the principle that states have a responsibility to protect their own people. This was the first time that this was actually enunciated in international law. It is not legally binding strictly speaking, but it is what is known as “soft law.” It was a normative injunction passed by the international community. 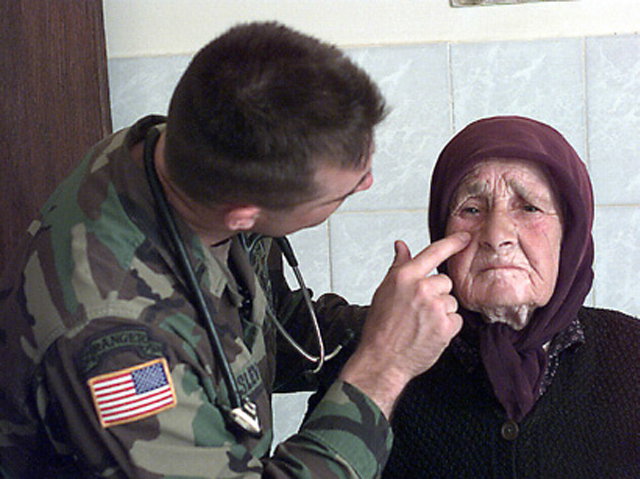 A US Army physician’s assistant provides medical assistance to an elderly Serbian woman in Kosovo. According to the Responsibility to Protect doctrine, there is an international responsibility to assist. States have a primary responsibility to protect their own people; if they fail to do so or egregiously violate that responsibility and persecute their own people, then the international community has the responsibility to respond and assist. So this doctrine puts a big hole in the old sovereignty norm that basically said that states could do whatever they wanted to their own people. The Responsibility to Protect is limited to four specific crimes, and especially crimes against humanity and ethics. As I mentioned, these are norms and not a legally binding treaty, but they are of strong form. How do we get a broad international consensus? The definitive evidence would be a UN Security Council authorization, something that in some cases we have gotten, like the Ivory Coast Intervention in the spring of 2011 that was supported by a Security Council resolution. In the Libya intervention there was also a Security Council resolution supporting it. That is definitive evidence for legitimate international intervention, but I do not think that we should make Security Council authorization a necessary condition. I talked earlier about participation. There should be broad participation: active engagement by more than one or two states, not just by us. And there should be active logistical support by a number of other states. In other words, they should not just passively sit back and raise their hand in the Security Council or General Assembly. One of the most important criteria is that there has to be an indigenous opposition to the repressive regime. If there is no coherent indigenous opposition, which you can rely on once we’ve thrown out the bad guys in the state, then there is no exit strategy and no way to get out without undermining the actions. Now, if that is hard, you have to make a judgment. Is a coherent, indigenous coalition capable of ruling? Is it feasible? Do you have a reason to make a flawed judgment? It is a difficult judgment. I think we have to ask this question: after we intervene, if we succeed in totally ousting the regime and restore order, is there a group of people or locals who we can hand power over to? I am not saying they have to be democratic, but they have to be effective and potentially better than the people prior. Now, take a look at Figure 1. Exit strategy? No – polity fragmented Yes – opposition Yes – sovereign Kosovo No – until at least 2007 If opposition coherent No – plan depends on viable govt. Figure 1: Intervention criteria where the United States lacked crucial interest. Now you get the big picture. What I have done is simply to take my nine criteria on the left hand column and the six cases across the top. So the first issue: was force essential to achieve the objective? The answer is yes in all of these cases; we could not have achieved the objective without force. So there is no easy way out. We are already in the hard cases, where in order to do anything effective, we needed to use force. Is there an exit strategy? Well, there was not in Somalia. The first Bush Administration intervened in Somalia in 1992 and the Clinton Administration maintained the intervention until the Black Hawk Down incident in October 1993. But, there was no exit strategy; there was no one we could see to turn the reins over to. Ironically, in Rwanda, where we didn’t intervene, there would have been an exit strategy. There was a Tutsi movement, self-organized without our help, and we could have intervened with an easy exit strategy. We should have intervened there. There was also an exit strategy with Kosovo: having an independent Kosovo. It would not have been run by the people you want next door to you, not your city council in Princeton, New Jersey, but they were able to run their own affairs with some help and not a huge amount of money. In Iraq, I think there was no exit strategy until at least 2007; it was notably absent in the Bush Administration’s original intervention strategy. In Libya, it is still questionable whether the opposition is coherent enough to run a peaceful, orderly state. . 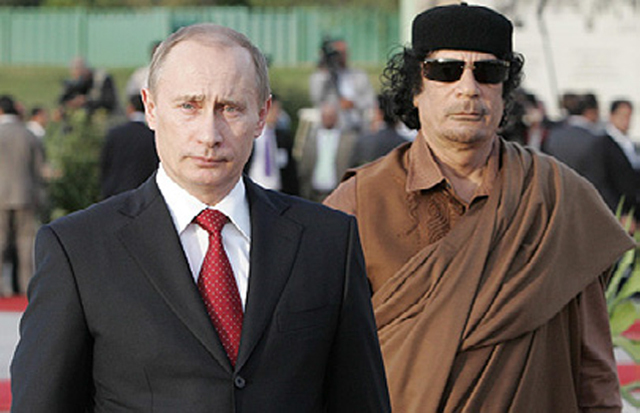 If the opposition movement that defeated Qaddafi is coherent, then we’ll have an exit strategy. If they are going to start fighting each other, we won’t. I think that we do not have an exit strategy in Afghanistan that will preserve the gains we hoped to achieve. What about the goals, are the goals clear? The goal in Somalia was first to save people from famine; that was a clear goal. The other goal was to improve governance in Somalia, which was not achieved. There would have been a clear goal in Rwanda: stopping the murder of 800,000 people in two months. But tragically, there was no intervention in Rwanda. There was a clear goal in Kosovo: to get the Serbs out and let Kosovo run their own country. In Iraq, there was one clear goal: remove Saddam. After that, it seems to me there was not a clear goal. In Libya, there was a clear goal: defeat Gaddafi, even though this was not the same goal that the UN approved. The UN approved a much more minor goal, but NATO took that as authorization to do what they pleased. In Afghanistan, I think it is not clear what the goal is; there is no attainable goal. There was an implicit reevaluation in Kosovo; we scaled down our involvement and said we are not going to solve all these problems for you. In Iraq, we did not reevaluate until awfully late. In 2005-2006 we said, “Oh, we’re in trouble here, what should we do?” We are not there yet in Libya. I do not know if there is a plan for reevaluation, but I think there should be. And maybe Obama is reevaluating in Afghanistan. If there is no coherent indigenous opposition... then there is no exit strategy and no way to get out without undermining the actions. Now I turn to the other criteria. There was just cause in Somalia, Rwanda, and Kosovo. I think it is very unclear in Iraq what the just cause was for invasion. Saddam was a dictator, but it is not clear that Saddam was killing more people than have died after the invasion. But I think in Libya there was just cause, because Gaddafi was murdering his people and threatening war, and R2P was applied there. In Afghanistan, I don’t see just cause now. There was just cause in 2001, but now there are maybe one hundred al-Qaeda fighters in Afghanistan. Finally, let’s consider The Responsibility to Protect. It was not in place in the 1990’s, so Somalia and Kosovo are in parentheses. It was not tested in Rwanda because, tragically, there was no intervention. There are lots of oppressive regimes in the world. If you were committed to liberating people who were oppressed then you would be liberating lots of countries. In Libya, I think Responsibility to Protect criteria were met, but in Afghanistan I believe they are not. Is there a consensus? Well, in general in Somalia and Libya there was consensus. In the Rwanda case, there could have been. In Iraq there was not. We did not have a lot of support if you look at the American coalition: the US and Britain, a few NATO allies, and a lot of tiny little states without any resources to speak of. The Bush Administration had an obvious, self-interested reason for going to war. I think we are seeing a decreasing consensus in Afghanistan. With regard to the question of the internal opposition, the problem was that in Somalia there was no coherent opposition, unlike Rwanda and Kosovo. In Iraq, the problem was that Saddam’s opponents were mostly exiles and they were not broadly integrated into the society. In Libya, there was internal opposition, which was crucial. In Afghanistan, the US supports the government. If the government were coherent, this could be OK; but I do not think it is. Finally, I ask, “Were these operations justified?” In Somalia, we should have provided the famine help and then gotten out. In Rwanda, we should have intervened. This was, ironically, the case that meets the criteria best; and we did not intervene, to our shame. In Kosovo, we were right to intervene; it meets the criteria quite well. In Iraq, we were wrong to intervene. There was no exit strategy. There was no broad consensus. There was no broad involvement by others. There was no coherent opposition. There was no just cause under Just War Theory. And there was no valid, in my view, Responsibility to Protect justification. So it is a genuine, crashing failure, and I think that it should never happen again. In Libya, I say cautiously “yes,” although I recognize that there is a lot of risk here, especially the risk of anarchy and division among the revolutionaries. Our current involvement in Afghanistan is not justified. It is not quite as bad as Iraq, but I think it is close. There is no exit strategy I can see, the goals are unclear, the R2P criteria are not met, and it is not a “Responsibility to Protect” situation. There is a declining consensus and commitment by others. And there is a very weak, feckless government, which is weak and unable even to prevent people from walking in and suicide bombing one of their leaders. It does not command much widespread support. I would say be cautious and ask, “Has he or she articulated an exit strategy? Is this strategy based on the identification of a coherent opposition, which will be capable of running the country in a more decent manner, at least than the people they have already got, when they are allowed to be in power?” These are hard cases, and you have to make sure all the criteria line up. If a vigilant public does not hold its government accountable for interventions in a coherent way, the United States will continue to engage in poorly conceived or badly motivated interventions, as well as in those that are justified. As James Madison said in Federalist paper number 10, “enlightened leaders will not always be at the helm.” It is up to us, in the attentive public, to offer criticisms as well as support on a reasoned basis to hold leaders accountable and give them incentives to enact sensible and justified policies. Arnold Wolfers, Discord and Collaboration (Baltimore: Johns Hopkins University Press, 1962). Joseph S. Nye, Nuclear Ethics (NY: Free Press, 1986). For my views on this issue in more detail, see Allen Buchanan and Robert O. Keohane “Precommitment regimes for humanitarian intervention,” Ethics and International Affairs, volume 25, no. 1 (spring 2011). Stanlely Hoffmann, “The Hell of Good Intentions,” Foreign Policy 29 (winter 1977-78).